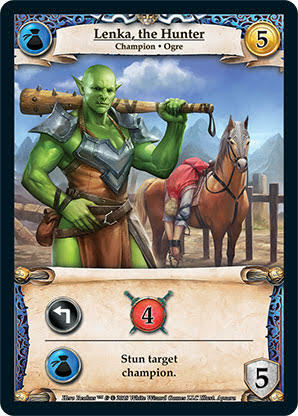 The Hero Realms: Journeys Kickstarter launches in November. 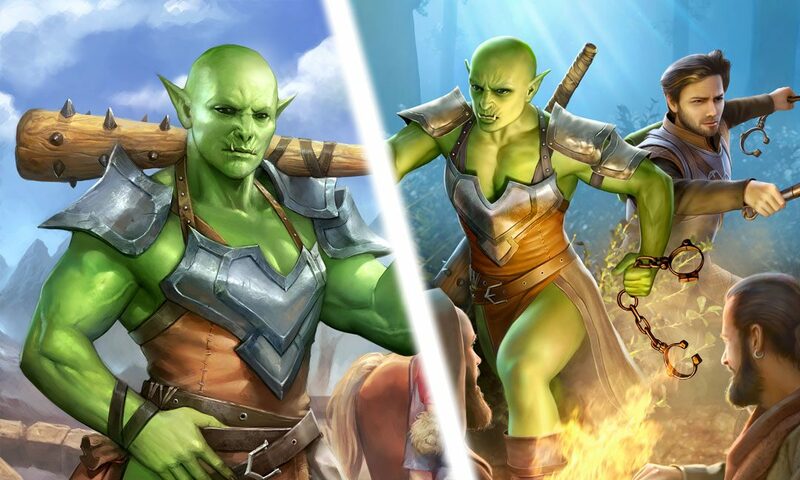 Hero Realms offers players both a fast-playing competitive deckbuilding game, as well as cooperative adventures which mix in the teamwork, storytelling, and character progression of an RPG. We talk all about it here. 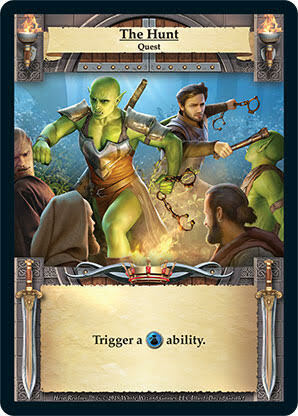 Today, we’re going to introduce a new type of card that will debut in Journeys: Quests. “When do we get to the hitting part?” Lenka growled low so only Jeph could hear. She choked down another bite of charred rabbit and grimaced. Food should be raw and wriggling. “Got it!” Lenka said triumphantly. She pulled the chunk of rabbit out of her mouth, considered it for a moment, then swallowed it. They were posing as muscle for hire. Well, Lenka was – Jeph just set up the meeting. She figured Remus would want her to show her strength. Crush some stones, maybe uproot a tree. The usual. Then Jeph’s potion would do its thing (she had been listening – she just liked to give him a hard time) and they’d carry their sleeping bounty back to Thandar and pocket the reward. And if something went wrong, her fists were the backup plan. Broken Jaw and Whimpering were returning to the camp. A human in a cloak followed behind. He must be Remus. The mark. Lenka didn’t know why there was an imperial warrant for the man’s capture and she didn’t care to. She just wanted the coin. And then things got interesting. An ogre even larger than Lenka lumbered behind the humans. Looks like Remus already had some muscle on the payroll. “Yeah, his name’s Aruk. I worked a few jobs with him years ago before joining the Guild.” She stood and stretched, her massive bones cracking. “I don’t think so,” Lenka said. Lenka watched Aruk lean down and speak into Remus’s ear. The outlaw drew a short sword from his cloak, said something to Broken Jaw and Whimpering, and pointed at Lenka. “He knows what I do for a living these days,” Lenka said. Jeph swore and stumbled to his feet. Broken Jaw pulled a rusted hammer from his belt and Whimpering drew a short-bladed dagger. They charged at Lenka while Aruk went around the other side of the cookfire toward Jeph. Broken Jaw swung his hammer at Lenka in a wild arc. She took the blow on a forearm and slammed her fist into his face. His nose crunched and blood sprayed, and for a moment she considered changing his name. She shoved him into a tree and his body fell limp. Whimpering buried his dagger in her thigh. She ignored the pain and closed her fist around his. She squeezed until the man began to scream. A kick to the chest broke something and the man crumpled. Sparing a glance, she watched Jeph whack Aruk across the face with his sap then scramble away from the ogre’s long reach. Remus stood before her, sword drawn. She smiled wide at the mark as she pulled the dagger out of her leg and tossed it aside. Remus turned to run but Lenka was faster. She grabbed hold of his cloak, turned him toward her, and lifted him off the ground. Her face was inches from his. He dropped his weapon. “Yes,” the human said, and she could smell his fear. She turned and saw the ogre held Jeph in his huge arms. One hand covered her partner’s mouth and Aruk’s other arm was wrapped around Jeph’s waist. It would take minimal effort to crush the life out of him. “So, what do we do now?” Aruk asked. “Same bad jokes.” Aruk said mildly. “We both know what happens if you fight me. And what happens to your boy.” He squeezed Jeph’s face ever so slightly and Lenka heard the muffled scream. Aruk gave no reaction and Lenka knew he was running out of patience. So she stood there silently, listening to the flames crackle. She could feel Remus’s heart beating fast against her arm. “All right that’s enough.” Aruk growled. Lenka held her breath as the tips of the flames turned blue. There was a puff of smoke and Aruk’s eyes went hazy. He took an awkward step, then another. His body relaxed, letting Jeph slip from his grasp and roll away. Lenka moved fast. She pulled Remus’s arms behind his back, clasped a pair of iron manacles onto his wrists, and tossed him onto his belly near Jeph. Aruk was shaking his head to clear it, but he never had a chance. Lenka pulled her club from its straps on her back, planted her feet, and swung with all her considerable might. She caught Aruk clean across the face and his head snapped around. The ogre staggered and fell. She knelt beside him and was relieved to find that the blow had not been fatal. This was just business. She stood up and slipped her club back into its straps. “You think she listens to me?” Jeph laughed. He stepped aside and Lenka heaved Remus up onto her shoulder. “Ask me if ogres eat humans,” Lenka snarled. When playing with Quests, each player is given three random Quest cards during setup which are kept face down in front of them. You can look at your Quests, but don’t show them to your opponents. Each Quest has a simple objective. This expansion pack adds 12 new Items to the game, each of which has the term “Relic” on its type line. When you complete a Quest, you’ll get to acquire a random Relic to go into your deck for the rest of the game. If you manage to complete all three of your Quests… you win the game! That’s right, Quests add a new victory path to Hero Realms. It doesn’t matter if you’re down to your last few health – just complete your final Quest and you win! We hope you enjoyed today’s preview. Come back next time where we’ll acquire some relics. Look for Hero Realms: Journeys on Kickstarter in November 2018! In the meantime, sign up for our Hero Realms Journeys newsletter. Signing up will help you stay up-to-date on the campaign, but that’s not all. Your sign up will also donate a game to a children’s charity, and enter you to win a chance to become a card in Hero Realms. Click here to sign up today!